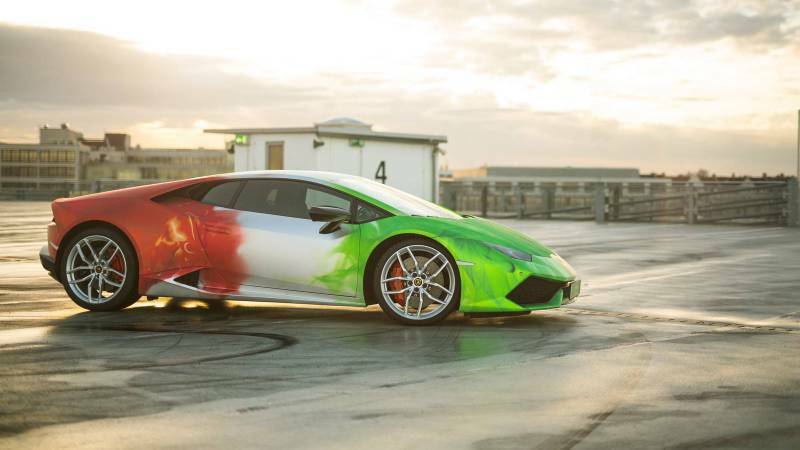 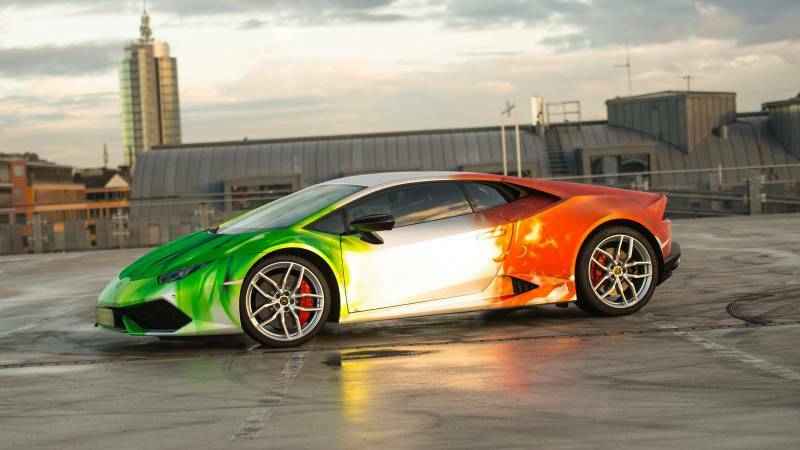 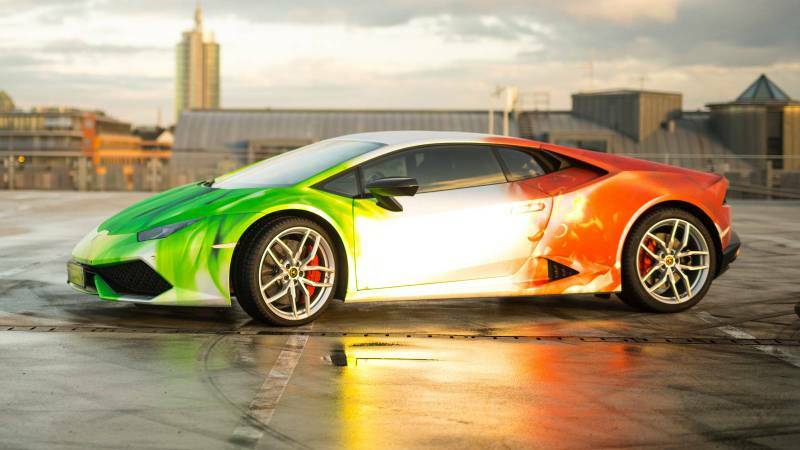 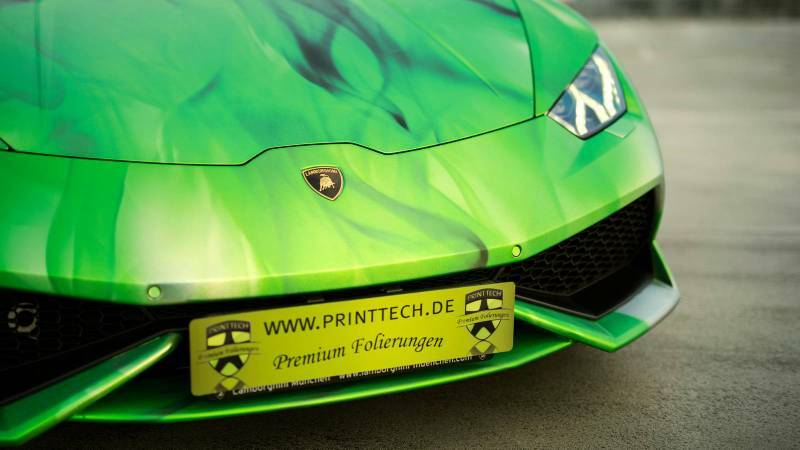 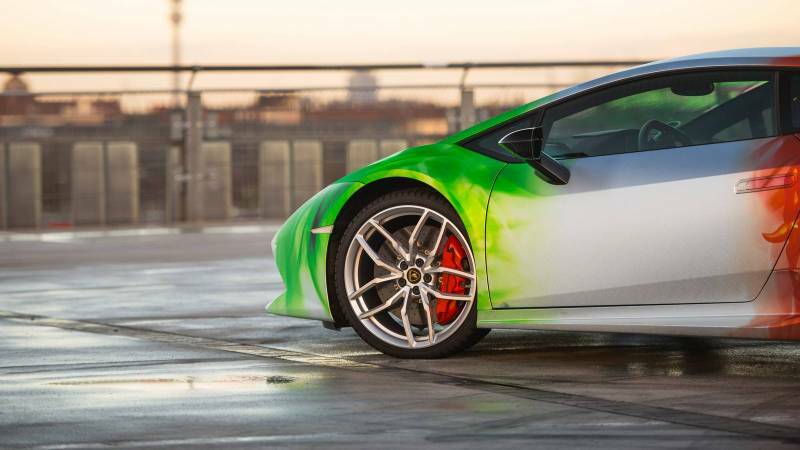 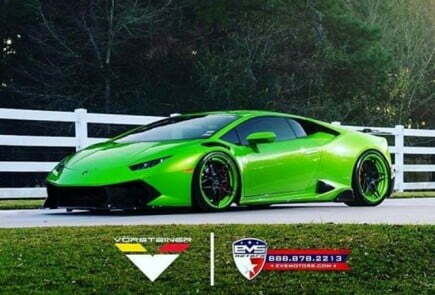 Germany based, Print Tech Premium Wrapping has released images of Lamborghini Huracan LP610-4, wrapped in Tricolor chrome with black flames. 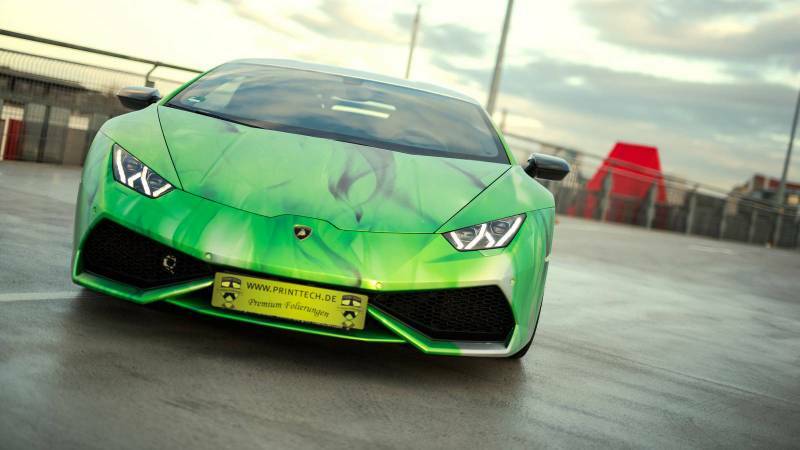 The Hurcan in this wrap looks absolutely stunning and eye catching. 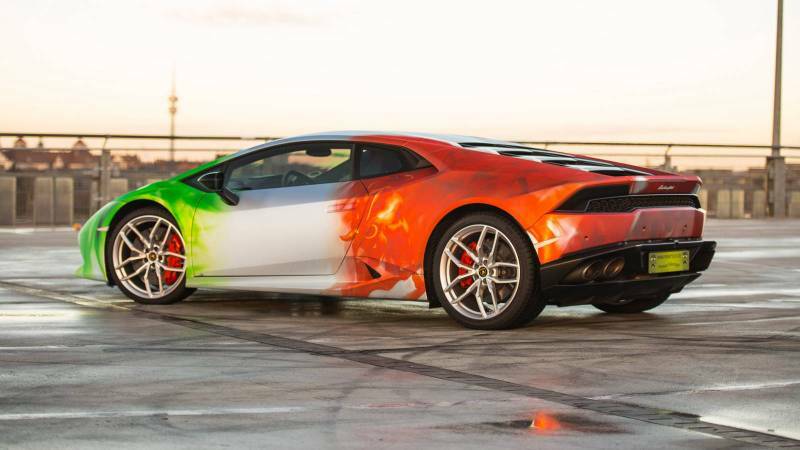 Print Tech has also equipped this stunning Huracan with Akrapovic’s titanium exhaust system, which is designed to reduce weight and improve performance. 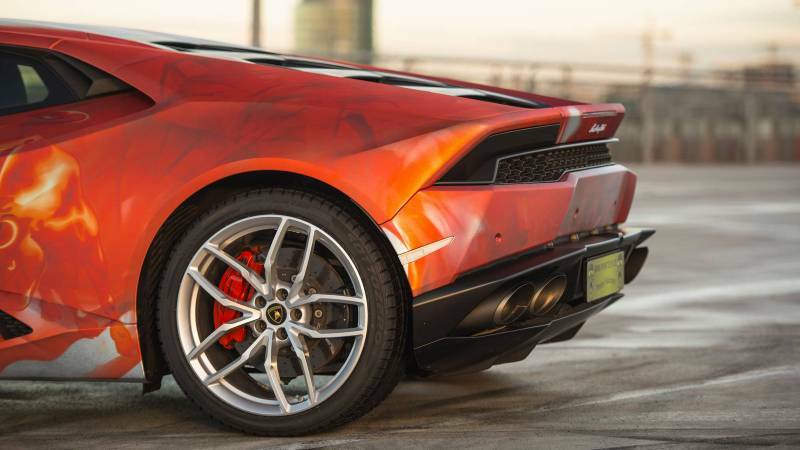 This exhaust system has bigger main pipes, made fully from light weight titanium alloy and finished with four carbon fibre tailpipes to give it a sporty look. 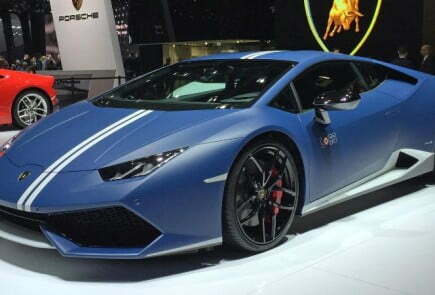 The large diameter main pipes, and specially designed large size muffler reduces back-pressure, increasing power output and torque of naturally aspirated V10 right across the rev range. 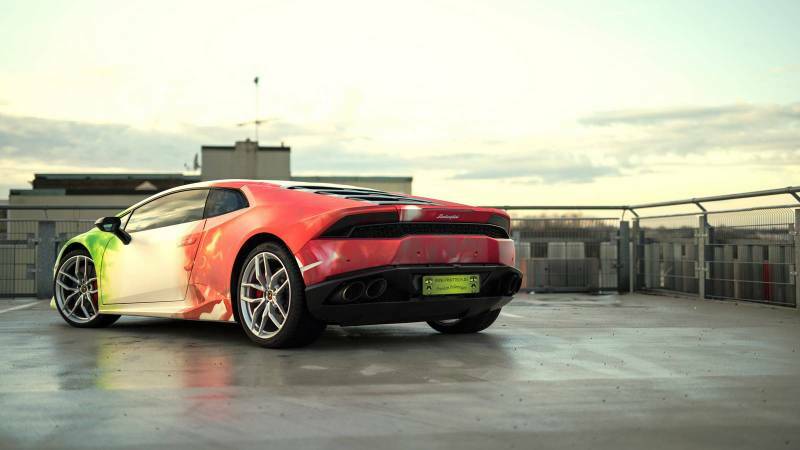 Akrapovic claims that this titanium exhaust system reduces car weight by 20 kg, increases power output by 19.4hp (14.3 KW) and torque by 21.7Nm. 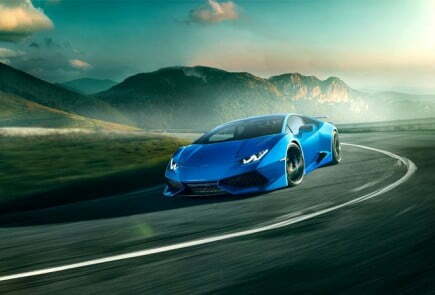 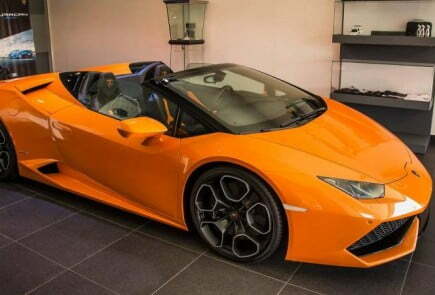 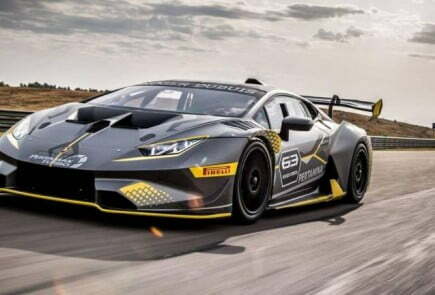 A standard Lamborghini Huracan comes with 5.2-liter V10 engine which delivers 610 hp and max torque of 560 Nm at 6500 rpm. 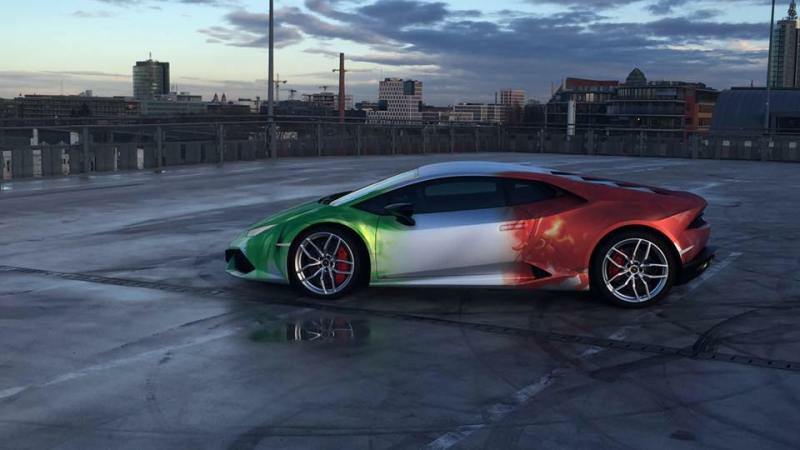 This tricolor wrap will cost around 10,000 Euros.